Living in central Japan, Kyoto is one of my favourite places to visit with its deep history and traditional architecture. Kyoto is considered by many to be the cultural heart of Japan with its ancient shrines, temples and Zen gardens. The city has managed to survive many of the wars that have affected Japan and even a lot of its modernization in certain areas, giving us a time capsule of Japan’s rich architectural and cultural history. Houses and Gardens of Kyoto takes you on a journey via over 500 photos of traditional Japanese architecture and gardens spanning the centuries. 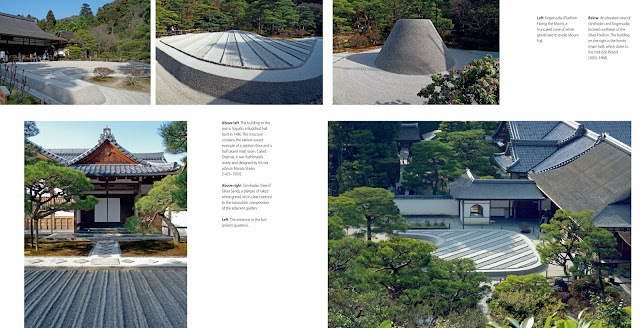 The book features a variety of traditional Japanese houses, from aristocratic summer villas, temple residences, and merchant townhouses, to ryokan inns, private retreats and tea houses. The book covers Kyoto’s traditional houses from every period of the city’s history and their associated outdoor spaces, which come in many forms from courtyard gardens and picturesque stroll gardens to “dry landscape” stone gardens and “borrowed scenery” gardens that make use of distant landscapes. Why I really like this book? 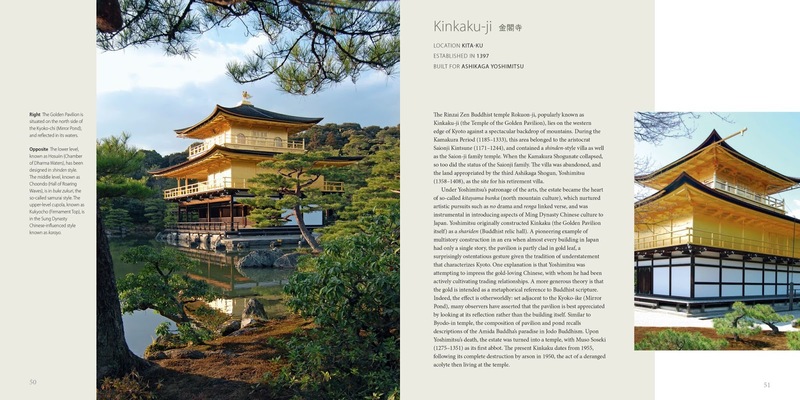 The beautiful photos make the book almost feel like a photo album, but it doesn’t stop there as the informative text turns the book into a fascinating historical study of Kyoto. The book is split into six chapters with each exploring a style of traditional Japanese house which include aristocratic villas, temple residences, merchant townhouses, traditional ryokan inns, private retreats and tea houses. 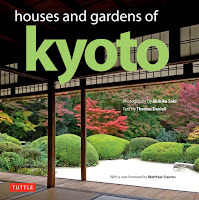 It is easy to read and flick through with its compact size and the beautiful images really show you all the finer detail of Japanese architecture and garden design. I like how each house has a brief description under the name telling you about its location, when it was established and who it was built for, or its owner. The text is very informative and tells you all you need to know about each of the fascinating houses. The detailed map at the very end of the book allows you to pinpoint where each house is located in reference to the other in Kyoto. I checked out the new hardcover edition which is a smaller and more compact version of the original book, which is perfect for me as a traveller and photographer on the go. This new edition also contains a new forward by architectural historian, Matthew Stavros, which places these exquisite houses within the broader context of Japanese history. The author, Thomas Daniell is a practicing architect, originally from New Zealand, who has been living and working in Kyoto since the early 1990s. He is a contributing editor for the architecture journals Mark and Archis and is widely published. The vibrant collection of photographs is from Akihiko Seki, a photographer born in Tokyo, who has spent over 20 years working outside of Japan. Since taking early retirement, he has traveled with his wife and cameras throughout Japan and Asia. He is the photographer and author of Asian Resorts and also photographed and co-authored Ryokan: Japan’s Finest Spas and Inns. 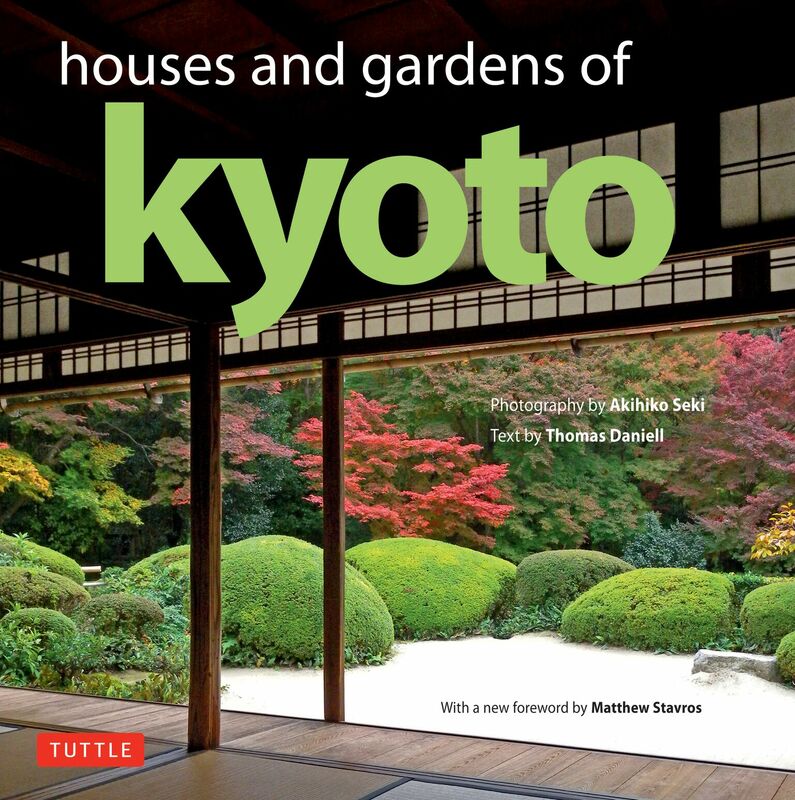 Houses and Gardens of Kyoto is a great collection of exquisite classic Japanese houses and garden styles that will serve as a lasting inspiration to anyone interested by Japanese architecture and design. 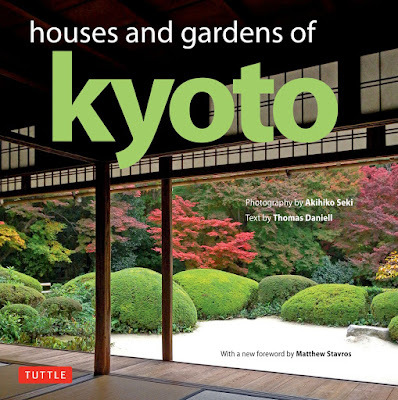 Houses and Gardens of Kyoto is available now from Tuttle Publishing.